This is supposed to be similar in feel to the wonderful SSS Nostalgie, but on me, it is decidedly not. The drydown might be great, I wouldn’t know. I had to scrub it off every time I tried (and I won’t anymore), because the topnotes just make my skin crawl. It is such an unpleasant aldehydic fizz that is so pervasive my nose starts to quiver and tremble. Miriam is not for me and that was a huge disappointment indeed. Miriam was created by Andy Tauer and includes notes of fresh citrus accord, geranium, violet blossom, rose, jasmine, ylang, violet leaf, lavender, vanilla, orris root and sandalwood. Wow, such a perfume coming from the esteemed House of Guerlain as a part of an exclusive collection, takes some cheek. This is the most generic white floral to ever come from Guerlain, but it can be found by the dozen in other mainstream houses for a tenth of the price. It is one thing whether I like that perfume or not, but another, for Guerlain to sell something so unimaginative and repetitive, as an exclusive offering for a steep price. If I didn’t know and love so many other fragrances from Guerlain that I truly love, I would be very, very concerned about the future of this house. Catering to the masses is not the way to stay on top. Because – hello? this is a luxury business. The price alone does not luxury make. Floral Romantique includes notes of mandarin, petitgrain, ambrette seeds, yerba mate, carnation, jasmine, lily, tiare flower, ylang-ylang, cedarwood, smoked tea, benzoin, chestnut and was created by Thierry Wasser. Coffee in a perfumes makes me queasy. It was the same with Bond N°9 New Haarlem, and it is the same here. Maybe that is because I am an absolute wimp who never drinks coffee either… 1969 is a mess on me, an overthrown cafeteria cart, where coffee and juices and snacks are all jumbled together and clamor for attention. Wearing it makes me crave a cleanse and a zen meditation session. The spirit of chaos that the year symbolizes has been captured perfectly though. 1969 was created by Gerard Ghislain and includes notes of fruit of the sun, peach, rose, white flowers, cardamom, clove, patchouli, chocolate, coffee and white musk. What are your recent scrubber discoveries? I’d love to hear about them in the comments! This entry was posted in Fragrance Reviews, Guerlain, Histoires de Parfums, Tauer Perfumes and tagged Fragrance, Guerlain, Histoires de Parfums, Mini-Reviews, Perfume, Review, Scrubbers, Tauer Perfumes. Bookmark the permalink. I’m being very careful when testing unknown perfumes: I try to apply the tiniest amount first to see what I think, if I need warm water and soap (or a creme brulee torch in case of Tauer’s perfumes ;)). And I have a high tolerance to perfumes I’m testing: I wouldn’t be able to wear many of them but I can tolerate it as a patch test on my wrist for a long while. But just a couple of days ago I came across a perfume that I was about to scrub and I’d have done it if it hadn’t been the smallest application. So I decided to let it be since it’s very unlikely I’ll make myself to go through it again (though I might). The prefume was Tea Rose by Perfumer’s Workshop. I’m so glad I have many favorite rose perfumes – otherwise I would have concluded that I hated rose perfumes. I don’t spray a new scent with abandon either, caution is of importance! Not tried Miriam, but I think most likely that it won’t be for me! 1969 I didn’t care for – too peachy – but it wasn’t a scrubber as such (though one or two other HdPs my memory has now blotted out were I think!). Floral Romantique I liked and never thought of it as a lazy creation at the time, though it is a pretty upmarket line so I know what you mean. I was just pleased to find an Elixir that wasn’t too cloying and rich! I remembered that you liked Floral Romantique, it is nice, but just sooooooo predictable and unimaginative, it irks me that it is part of an exclusive line. I’m with you on the Miriam. I wanted to love it, was excited to try another retro aldehydic, but it kind of went supernova on my arm, and didn’t want to let go! I was sad. My other sad discovery was Mon Numero 10. I love Mon Numero 1, but 10 was just…scary. Again, too over-the-top to wear. 1969 I felt MEH over, it just didn’t go anywhere with me. My happy discoveries have been Shiseido’s Koto (a soft, subtle aldehydic chypre’) and Malle’s En Passant. Heavenly perfumes indeed! So glad you had the same experience with Miriam. Mon Numero 10 was pretty bad too. En Passant is dreamy, it was my first niche perfume. No recent scrubbers for me but I’m rather slow in testing lately. And I like 1969 just fine as well. I will pass on those two to you! I’m glad they come to a good home. 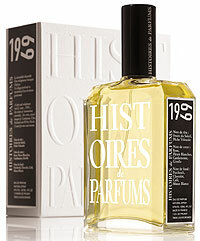 I see that you’ve already promised 1969 to Ines, but I just wanted to mention that I enjoyed it a lot on my vSO (on one sniffing trip I was out of usable skin RE and he allowed me to spray it on him). I haven’t tried it on my skin since then but I will eventually. Miriam is one I’m definitely on the fence about, it’s almost a bit TOO Tauer for my liking. Ah, I was curious what you’d make of Miriam. Oh! I forgot about that disaster. Though I courageously let MPC die on my skin without scrubbing it off – though I felt like doing that from the first second. MFK absolue pour le soir, just a cumin mess on me, I lasted about 10minutes then went to scrub. Such a shame as I love the cologne version. I was too much of a wimp to give it another try anywhere near my skin so I tested on tissue paper, I have to say the tissue wears it far better than I do. I’m so with you! I wanted to love Absolue as well, but it is pure cumin on me – horrible. Yes!!! This one too. I got some on my fingers recently while re-organizing my samples and had to stop everything trying to wash it off. But I plan to try one more time. If I’m brave enough. Okay, I can be honest with myself…I have a feeling that I can no longer convince myself to LOVE LOVE Absolue. I don’t mind cumin, really but something in it doesn’t work very well on my skin. I know the feeling of having to give up on something, although you really want to love it. I have tried it on twice and if it doesn’t work on the third try then it’s a total strike out for me! I’m willing to try this one again..
Oh it is nice to stop and consider the scrubbers for a moment, it can be quite personally enlightening plus EVERYONE has an opinion! PG Musc Moari – somehow I manage to actually curdle the chocolate. It smelt like milk that has been in the fridge for a month past its sell by date on my skin, yet wonderful on the blotter. (As an aside this was tempered by Cadjmere which has shot to the top of my wish list, it’s just the spring weather that holding me back from the actual purchase). SL EL Attarine – I used to like cumin in perfume, but this may have turned me into a complete cumin-phobe (I’m not sure I can forgive it either, it has quite ruined PdE Ambre Russe). I smelled like I had just completed a ten mile run and celebrated with a curry. PdE Yuzu Fou – I will retest this when I am feeling braver, I just don’t think I was expecting it to be quite so savoury. Haha, I had to laugh about your characterization of El Attarine, totally agree! I recently sampled Pardon by Nasomatto and that turned ugly. It became metallic on me and made me nauseous. It took 2 days to get that smell out of my head. Also agree with you on 1969, fun concept, but not fun to wear. I have heard very diverging opinions of Pardon, which makes it somewhat intriguing. What is funny is that while I found it repulsive, my better half said it was lovely! Hum Miriam by Andy Tauer, I’ll will discover it really, and his auhor, april 3rd being so kindly invited to a cocktail in Marie-Antoinette store in Paris…..
I’m so glad to meet Andy Tauer and, maybe, discover at last other scents by him. You wrote it should be close to Nostalgie, oh my G., I agreed, not AT ALL. How lovely you are going to meet Andy Tauer, have a wonderful time at the cocktail, Florence! It’s strange that SL doesn’t work for you. I have a love/hate relationship with his perfumes, the only one I love without reservations is Ambre Sultan. My last “scrubber” was Burberry’s Body. It made me absolutely ill. I can totally relate, Kathleen! Tauers are so potent! The Guerlain just sounds rather underwhelming for an exclusive, like you say. I know what you mean about coffee, I don’t drink it either but although I quite like the aroma, I can’t imagine wanting to smell of it. Wow! Miriam was a scrubber? That is interesting— I know that Mals loves it; must be something in it that just hates your magic skin! 😉 At least you have Nostalgie when you are in the mood for a vintage floral. I love coffee, and the thought of living with out it causes a mini panic attack (I’ve been contemplating giving up caffeine for “health”; not likely to happen), however, 1969 sounds repulsive! I did laugh out loud though at your description “where coffee and juices and snacks are all jumbled together.” When I read the word “snacks,” I nearly lost my coffee! LOL. The last fragrance that sent me to the sink scrubbing with steel wool was (drum roll please) Cuir de Russie! But since my review therapy treatments, I have completely changed my mind about it. It’s beautiful! I’m trying to duplicate that experiment with Fracas, but it’s not going so well. I have not scrubbed, but it’s taken all my courage not to (my stomach is getting stronger). I’m so curious to hear all about your Fracas experiment eventually! My last scrubber was 3 Fleurs by Parfum d’Empire. There’s something about certain iterations of violin-level florals (rose, jasmine, tuberose) that go horribly shrill and/or rancid-water-in-the-bottom-of-a-vase on me. Oh yes, I think this is the only one in the entire line I can’t abide either (that and Fougere Bengale, but that is a cumin problem). I love your ‘violin-level florals’. I’d apply that to Elie Saab. Not quite a scrubber, but close. I’m a big coffee addict and I love coffee perfumes to from New Harlem to Thierry Mugler Pure Coffee. Njami. Miriam is also horrible on me ;-(. Otherwise I like Tauer’s perfumes ….I just really can’t stand Zeta, it makes me nauseous. For what it’s worth, I don’t think Miriam and Nostalgie are very much alike. 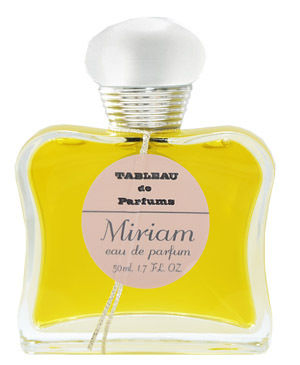 Miriam reminds me of Guerlain Vega, and it’s not to my taste either (I don’t like aldehydes to be so sweet). Nostalgie on the other hand reminds me of Joy and I love it. My last scrubber was another Histoire de Parfums, the Marquis de Sade one. It was FILTHY on me. I put the sample away for later, hoping I was just having a bad skin day. All I smelled was raunchy patchouli. Before that, I had to scrub Dioressence, sample dating to the ’80s I think. Again, totally raunchy, like sweaty peaches. Not good. Too bad that 1740 didn’t work for you, I like it, but I can see how it turns filthy though. I must have a strong stomach, I like Miriam (carefully dosed) and love Zeta :-). There are other Tauers that are scrubbers on me (URV and Reverie au Jardin comes to mind). Latest scrubbers (and not in a good way) Buberry Body and Love Chloe-disgusting! Cannot think of a recent Scrubber, I think I have come to the conclusion that I am just going to save the $ and go for a full bottle of Mona di Orio or another that I have small decants of and truly do love. I do enjoy reading others’ comments!!!! I didn’t think Musc Maori was such a polarizing scent… interesting. Which Mona di Orio are you going for? Vanille or (OUCH, IF I get the nerve to spend the $) her Oud. Pretty much anything with a lot of tuberose, really. Cannot come to terms with that note. The two-three by killian samples I have tested so far with the execption of back to black. Gucci Rush – both of them. Guerlain l’heure bleue – perhaps the worst of the bunch. Oh, L’Heure Bleue – I recently tried a vintange extrait, my God it was so beautiful. 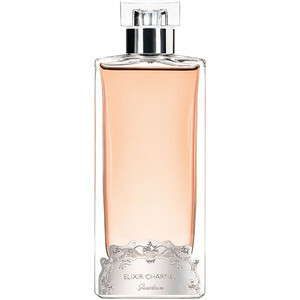 I’m craving it ever since, no comparison to the current formulation especially in EdP and EdT. Now that was a lot of fun!! I think it’s been a while since I met a scrubber. I thought Judith Lieber’s Topaz was the most revolting thing I’d smelled in a long time when I sniffed it on a blotter. I tend to test on my skin with complete disregard for my own safety or well-being but Topaz came at me at a big sniffing party (at Sniffapalooza, in fact) and fortunately it was on paper. Bleah. So disapointed with the new MFK Oud. I had such high hopes for this, but it was just a horrible Fruity/Saffron chemical mess – awful. Oh, that does not sound good. I’m all oud-d out, so I won’t even try it, I think.